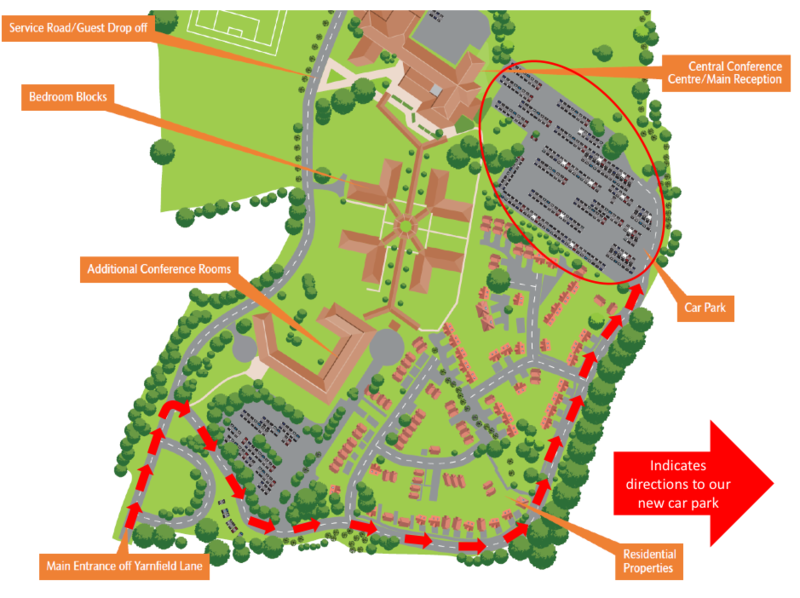 Yarnfield Park - Training and Conference Centre - Where is Yarnfield Park? Located in a charming countryside setting close to the market town Stone in Staffordshire, Yarnfield Park offers a refurbished modern facility with a range of space inside and out. On the village outskirts, our popular training and conference venue is just 2 miles from Stone Golf Club and 7 miles from the beautiful gardens at Trentham Estate. We’re in an excellent location – not too far from a variety of major locations. This makes us a great choice for organisations looking for a national training and conference centre that can accommodate a large group of people (our residential facilities can accommodate 400 people!). Whether you’re travelling via rail, road or air, click here for more details on how to find us. You won’t need to pay for parking, we have space for 400 cars. Leave the M6 at junction 14 (a 10-minute drive) or junction 15 (a 15-minute drive) – that’s only a further 8 miles you’ll need to travel to reach us.